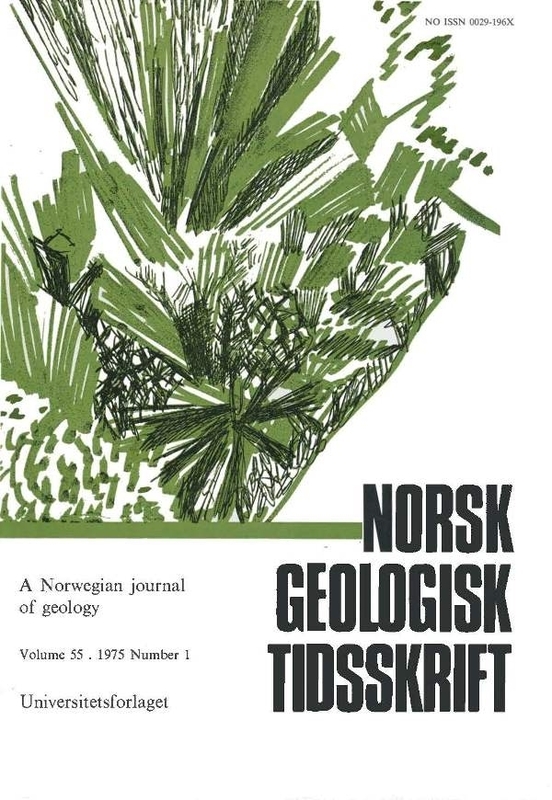 The petrology of the pyroxene-granulite facies rocks of Jotunheimen, Norway. The petrography of the peridotites, plagioclase-pyroxene-gneisses, jotunites and mangerites and chemical analyses of the rocks and their constituent minerals are presented. An original differentiation by fractional crystallisation of a melt of generally basaltic composition, in the olivine + plagioclase stability field, can be inferred from bulk chemistry considerations and element partitioning between present assemblages. Later thorough recrystallisation under stress produced strong foliation and lineation with progressive elimination by reaction of coexisting olivine and plagioclase in favour of pyroxene. Initial pressures of recrystallisation exceeded 8 kb (above olivine + plagioclase stability limit) and the main metamorphism was concluded under pressures > 4 kb to preserve granulite facies mineralogy. Partial melting of the feldspathic fraction during a pressure drop in the later stages resulted in the formation of transgressive mesoperthosites and assisted metamorphic segregation. Finally the massif was more or less passively uplifted.